Note: P2 is the interface to the host adapter. See Miscellaneous Technical Note. 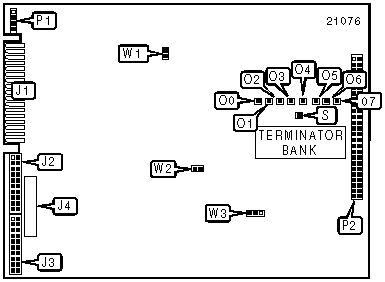 Note: The S1410 controller card is connected to the host adapter via the SASI bus (connector P2).